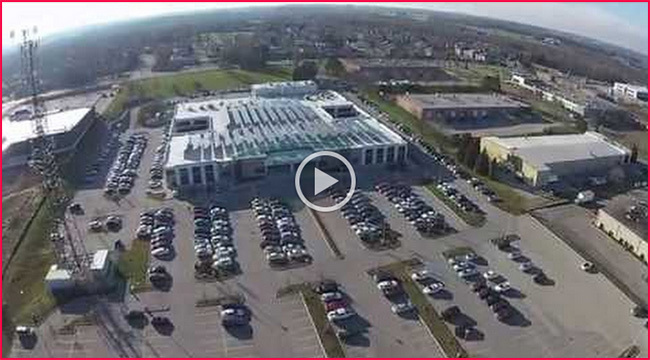 Located in North Waterloo, just minutes' walk from the future LRT stop on Northfield, the building features a large floorplate with 650 parking spaces and a total size of just over 114 thousand square feet. The building was fully reconstructed to very high LEED standards with exceptional finishes less than 5 years ago. The roof deck, concrete slab and structural steel were the only elements retained from the original building. 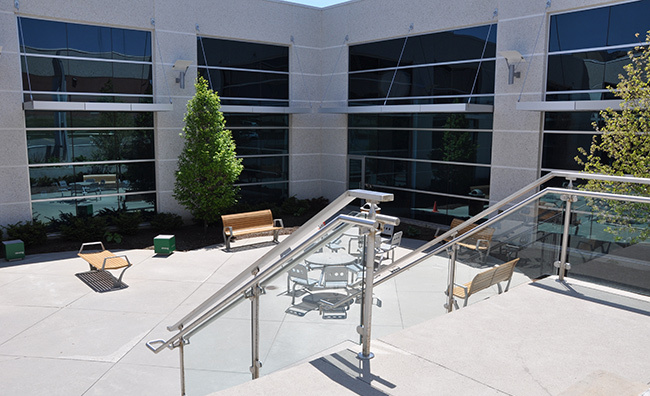 Two major courtyards were cut into the building to greatly increase natural light and provide employees with exterior areas to meet and relax. The north courtyard is adjacent to a large commercial kitchen and expanded employee lounge / café / meeting room. The building has card access control and controlled access checkpoints on all exterior doors. Telecom wiring, cable trays & cable management systems and fibre cabling from two separate routes is in place. Many areas have 22 foot ceilings with approximately 28 percent designated for private offices. There is elevator access to all levels. Pre-wiring is in place for a future electrical generator. Floor to ceiling windows provide natural light, the building incorporates sound masking, internet based building automation systems, lighting control systems, raised track filing systems, and huge electrical capacity. 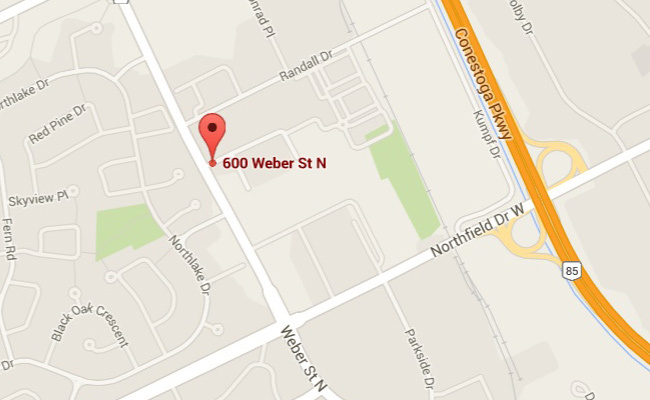 600 Weber Street North is one of the largest buildings in our portfolio, offering 114,033 square feet. 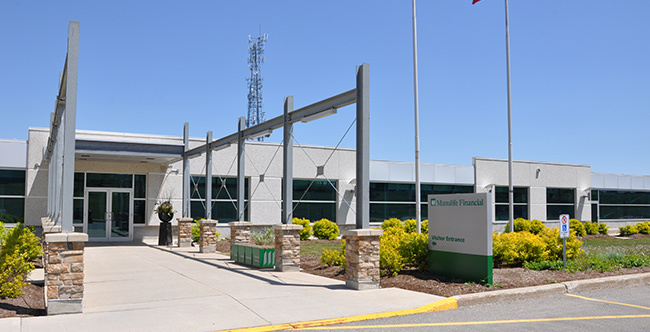 The former manufacturing facility was redesigned and fully converted into a two-storey office building in 2010. The building was constructed to exceedingly high standards and now features a very high power capacity and a 200kw solar panel array on the roof that generates on average 250,000 kwh per year. There is extensive on-site free parking as well as easy access to the expressway, the future LRT, and to transit bus routes. The site is professionally landscaped with a deep front lawn, and offers excellent signage opportunities that are easily visible from Weber Street.